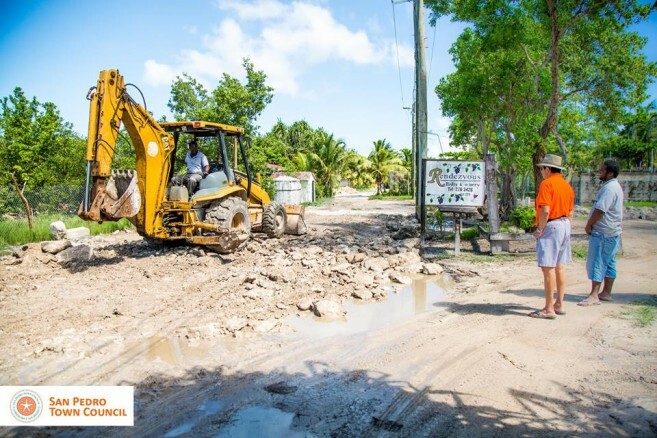 Residents in the Escalante, DFC, San Pablo, San Marcos, and the San Mateo subdivisions are complaining about the flooded streets after weeks of rain on Ambergris Caye. These roads are difficult to maneuver, and for some students, walking to school becomes a big challenge. As a result, residents are pleading with authorities to improve the streets. According to Mayor Daniel Guerrero, the San Pedro Town Council (SPTC) has been addressing the matter. The SPTC has been taking several steps to prevent rainwater stagnation, including compiling white limestone to pave the roads, but residents are frustrated that they are taking too long. Mayor Guerrero says that inclement weather has posed a challenge for the SPTC, and causing the delay in fixing the affected streets. “The streets are draining us a lot, and I cannot do much about it. Rain is not helping us right now, and we cannot fight Mother Nature. Every time we try to grade the streets, it rains. We have a lot of materials in certain subdivisions, and we are trying to deal with schools first,” said the Mayor. A parent of a student attending New Horizon Seventh Day Adventist Primary School thinks that the inclement weather is not a valid excuse. “The streets are very swampy, it has a lot of holes, and it is really difficult to walk in. Sometimes the puddles are too big, and kids fall in the water. The SPTC are piling the materials, and they are waiting until it gets dry to fix the streets, but when will that happen? They had more than enough time before rainy season to fix the streets. If they could waste thousands of dollars to do big celebrations, why can’t they fix our roads so that students could go to school safely?” said the concerned parent. A San Pedro High School teacher is also displeased with the progress of the SPTC. “A lot of parents and teachers are complaining about the roads. The poor street conditions are causing a lot of traffic problems, and it’s contributing to a lot of tardiness at school. Some of them reach with their uniform dirty because taxis and other vehicles have little consideration for them, and splash the students with water and mud. Students should be the number one priority on this island, and help is urgently needed,” said the teacher. A parent of Holy Cross Anglican Primary School student also noted that most students of the school have to walk. “The students are challenged when they walk to school because of the flooded streets. Some of them cannot afford rubber boots, and they get their feet soaked in water, which can make them get sick. Also, there are children whose parents cannot afford to pay taxi fares every day or afford to buy them a bicycle. I know some children who come out of their homes neat and tidy to only arrive to school wet and muddy. Some of these students complain that their peers tease them because of their appearance, and this behavior might lead to bullying,” said the parent. Mayor Guerrero stated that the SPTC is trying, and asks the general public to have patience. He stated that the SPTC will be working rigorously to fix all streets across San Pedro. 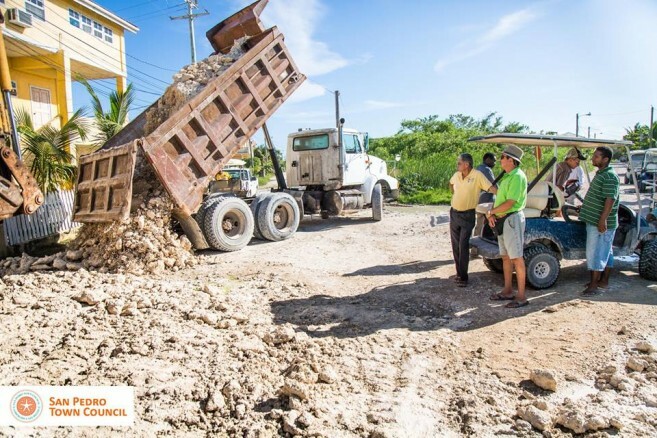 “We are getting 1,600 square cubic yards of materials from the mainland. We are planning to fix the southern roads first, then go to the DFC and Escalante areas. Then we will work in San Pablo and San Marcos areas. Next, we will be moving towards town, and work in the Esmeralda area. Afterwards, we will go to San Pedrito, the Elliot Subdivision, and the airstrip area. However, before we start there, we are going to fix all the main entrances from the bridge to the roundabout north of town,” stated the Mayor. In addition, the SPTC is making other improvements to help residents feel safer on the island. “I am trying to alleviate crime in San Pedro by developing new tactics. I am putting 19 lights in San Mateo area to keep areas of interest lit. I have also cut mangroves in that area, and I will open a two-way street. Since I put up a new police substation, I will also be installing two security cameras on the posts. One camera will capture each end of the Sir Barry Bowen Bridge. Apart from that, I will make sure the police at the substation have a motorcycle, and ensure police patrols are being conducted,” said the Mayor. Mayor Guerrero thanks all of the students, parents, teachers, and residents for their patience. 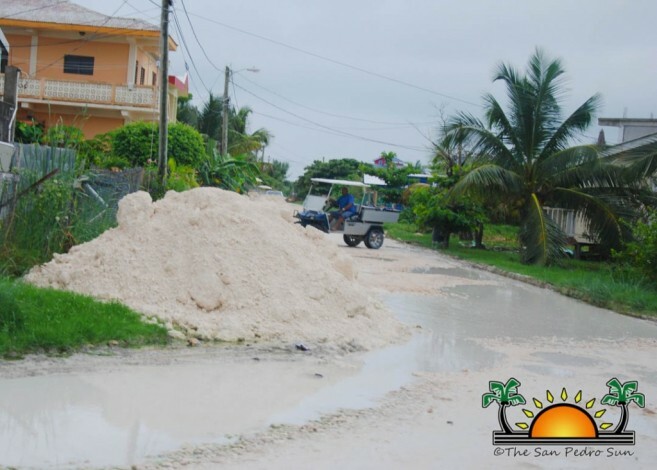 In the meantime, residents are encouraged to bear with the SPTC as they send out their workers to grade the roads.